Do our thoughts and feelings affect our physical health? And this understanding has given rise to a whole new area of scientific research called psychoneuroimmunology, which is just beginning to explore concepts many traditional forms of medicine have worked with for thousands of years. Thoughts and feelings affect health. Feel worthless, run negative thoughts about yourself and how awful you are? Don’t like the way you look, feel unlovable, lonely and misunderstood? Likelihood is that you will have a tendency to depression, keep catching a variety of bugs, have various health niggles that will eventually become more serious and lead you into a diagnosed disease. On the other hand feel confident, like who you are, feel optimistic, have healthy relationships and lots of enthusiasm for life and it is likely that your constitution generally will be stronger and healthier. Our thoughts and feelings affect our immune system and, bad habits aside, the more positive, optimistic and confident we are the better our immune system is. The holistic health model takes this a step further by recognising the emotional and mental energy body that make up part of what is called our subtle anatomy. Repressed feelings, resentment, anger, frustration, feeling powerless and a myriad other unresolved issues keep this negative energy stuck within our energy field, eventually affecting our cell tissue and contributing to problems. We live in a culture that does not generally teach emotional intelligence and how to best deal with negative and difficult emotions and emotional blocks and blind spots and repression are common. The same is true for negative behaviour patterns and unhelpful thought patterns and beliefs which become deeply conditioned into us. There’s never enough, you’re not good enough, you’re stupid, you’re a nuisance and so on – be exposed to these enough as a child (and it doesn’t have to be words, attitudes are powerful too) and they will set your belief about yourself as an adult. Recognising where these are impacting on blocking us achieving our goals, be in health, career, relationship or life generally, is the first step to crafting a new set of beliefs, behaviours and patterns that support where you want to go, not where you have come from. 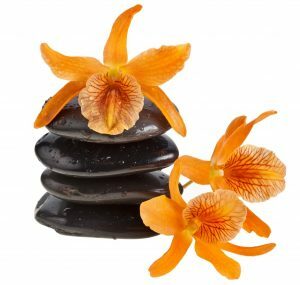 There are many modalities and techniques which help with this – flower essences, EFT, hypnotherapy, acupuncture, the Lightening technique, rolfing, Psych-K and many, many more. Not only will any health issues connected to unhelpful emotions and beliefs improve, but your life generally starts to shift for the better, so they can be incredibly powerful techniques for creating change at all levels. We’ll be covering lots on this subject, so join the mailing list today and don’t miss out! Start to understand your energy body, how it drives your mental/emotional well-being and learn simple techniques that open up the world of energy to you. A great gift from Nature to gently and effectively help support emotional health. Click here for a FREE report on what they are, how they work and which to use!